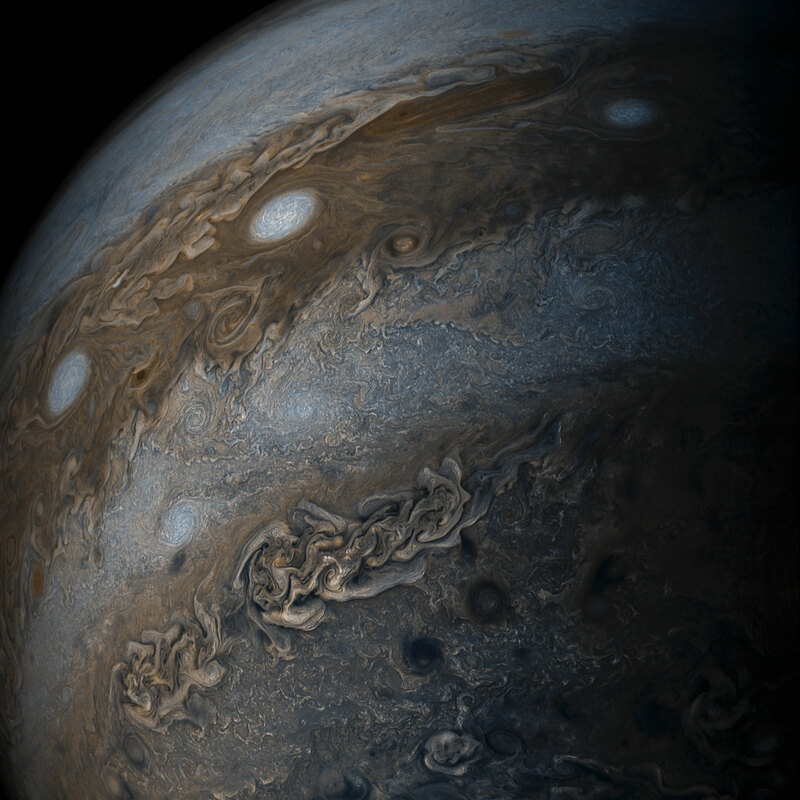 Using data from the JunoCam imager on NASA’s Juno Spacecraft, citizen scientists Gerald Eichstädt and Seán Doran created this enhanced-color image of Jupiter’s bands of light and dark clouds. The Juno Spacecraft acquired the image on May 19, 2017, at 11:30 a.m. PST (2:30 p.m. EST) from an altitude of about 20,800 miles (33,400 kilometers) above Jupiter’s cloud tops. Be the first to comment on "NASA’s Juno Spacecraft Views Jupiter’s Bands of Clouds"